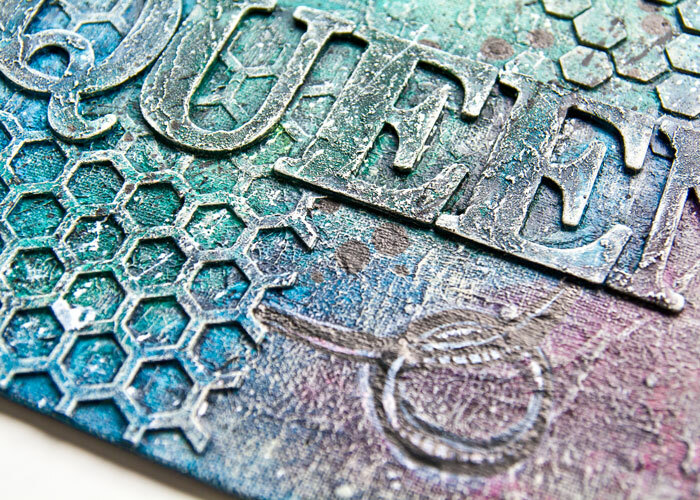 A quick video today with a quick look at some quick Gelli Plate printed papers! 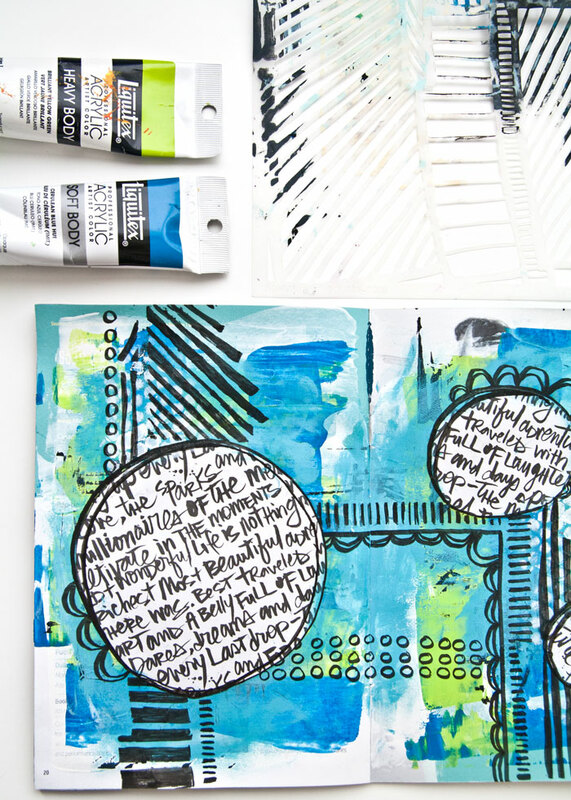 I have some mixed media projects planned and they need some colourful papers, so what better way to make them than to get my Gelli plate out and do some monoprinting?! 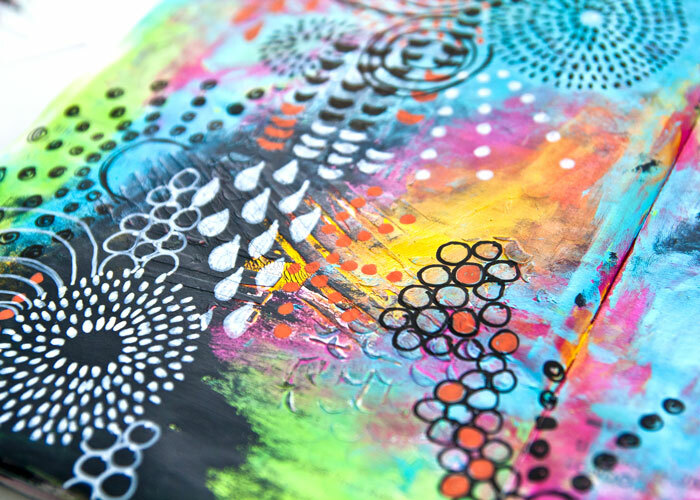 So that is what I did and I filmed some tips on using Gelli plates with heavy body acrylic paints because that is what I am using today! If you haven’t got a Gelli plate, or one of the other synthetic gel-based monoprinting plates on the market, then don’t forget that I do have a blog post all about how to make a gelatin plate. Some of the techniques I share in today’s video are specific for the synthetic plates but you will still pick up some great techniques for using on your DIY plate too! As always the supplies are all listed below the video and you can find a close up of some of the papers too! Let me know if you have any questions. Fabriano Accademia Paper is great for this as it is cheaper but if you can’t find it then try other student art or drawing paper. You can also use the Strathmore Printmaking paper but it is more expensive. 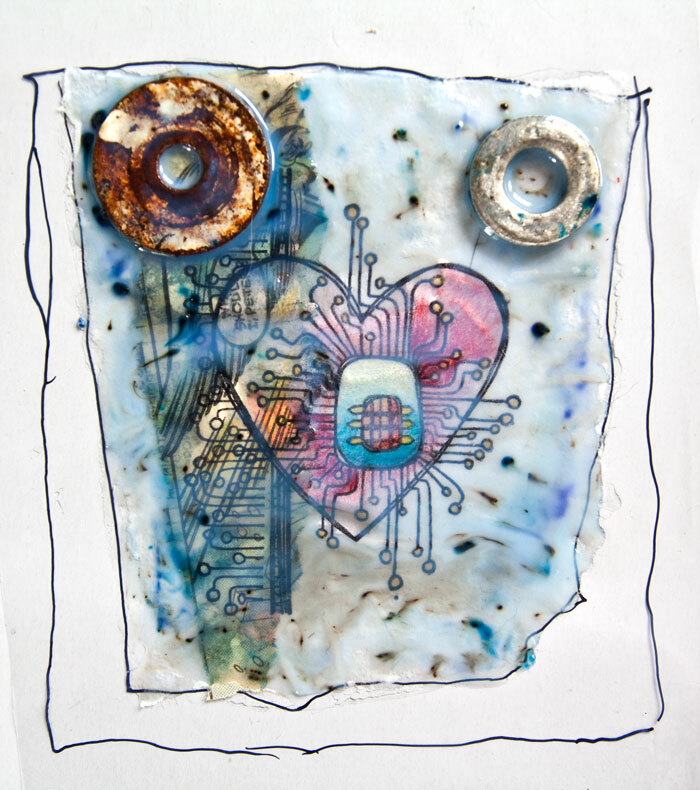 Try out Project #1 with a technique for turning your drawings into mixed media collage. 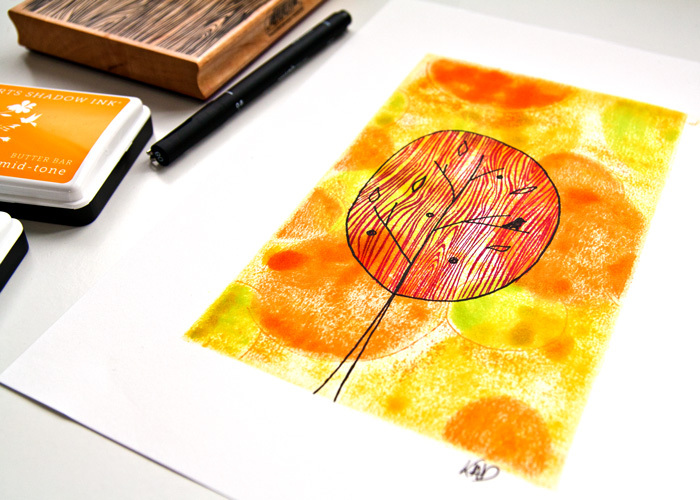 Project #2 was all about using gelli prints to make botanical art. 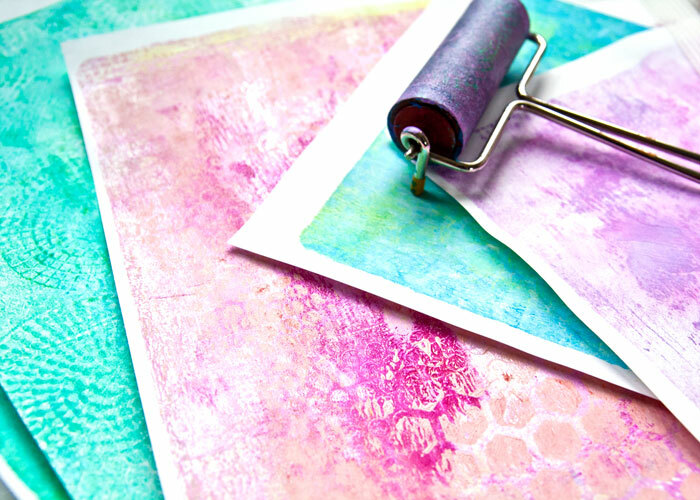 Project #3 use your gelli prints to make cute envelopes with colour on the inside and outside. PLUS there is a free template too! 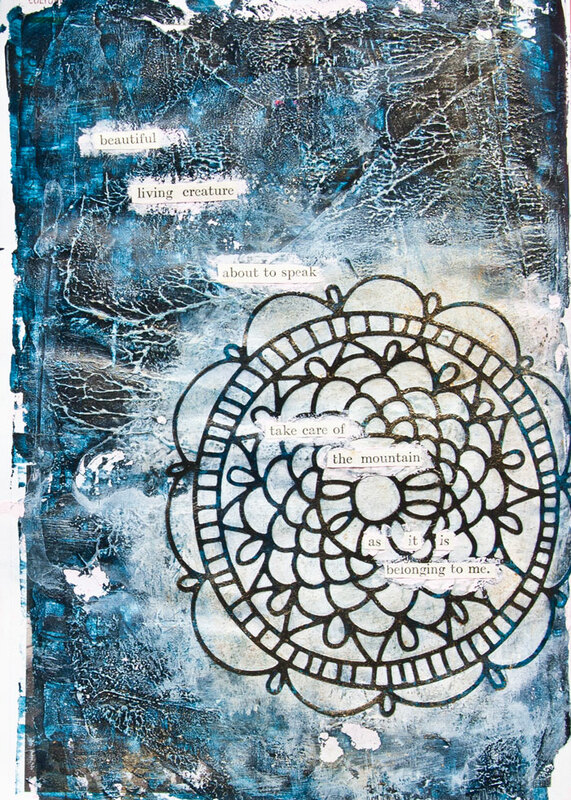 Project #4 scan your gelli prints and use them to add printed elements in a hybrid art journal page. 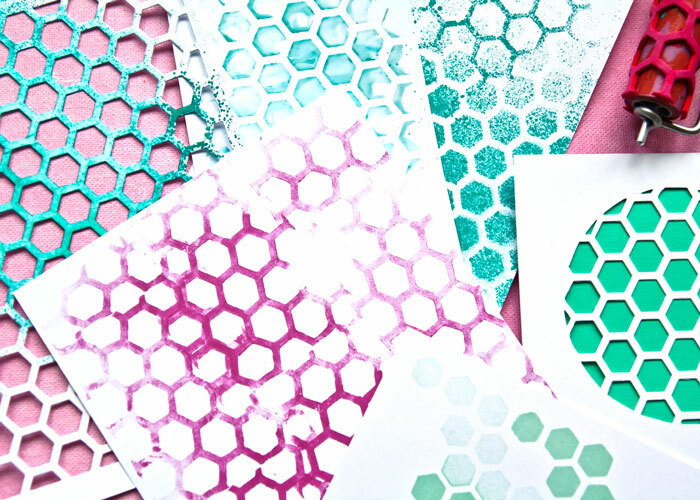 Project #5 use your gelli prints to make a cute coordinated present wrap gift set (perfect for Christmas btw!). 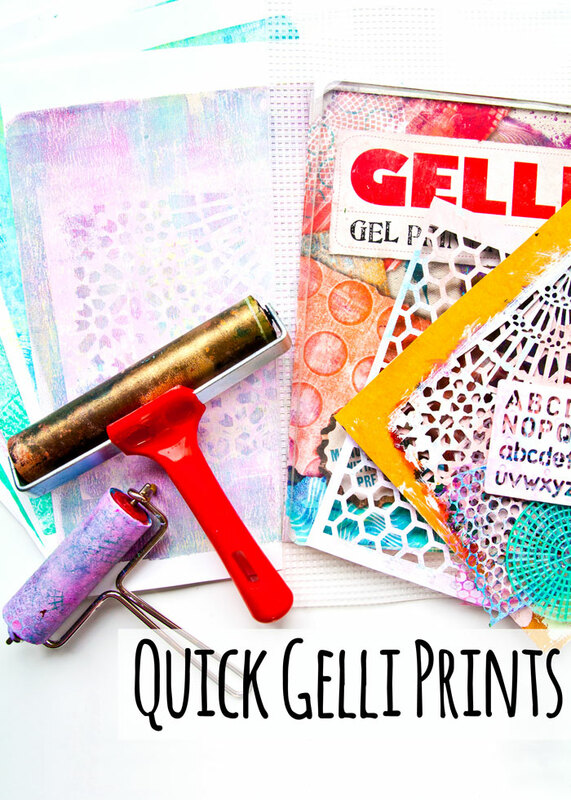 Haven’t got a gelli plate? Don’t worry, make your own with this handy blog post on Gelatin plates. So I’m super excited to show you what I used these papers for but you will need to wait until Sunday to see that, mainly because I haven’t edited the video yet! Have fun with your printing! I hope that you are ready to get inky today? Because I thought I would share another idea for getting the most out of your ink pads. 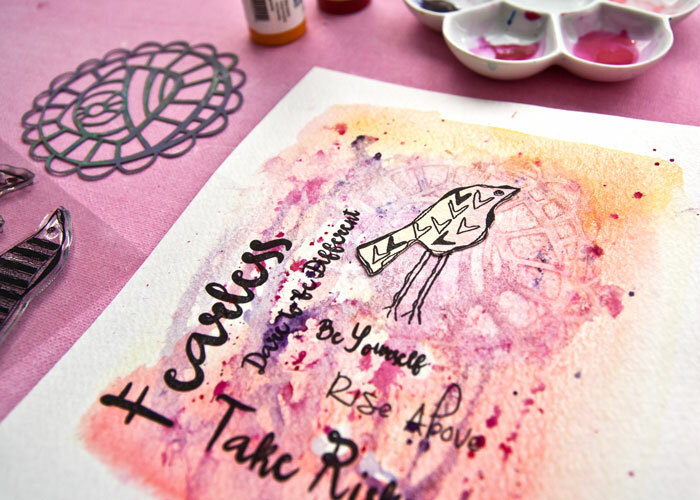 Ink pads are a stampers ‘must have’ product but they are quite a versatile art material in their own right. 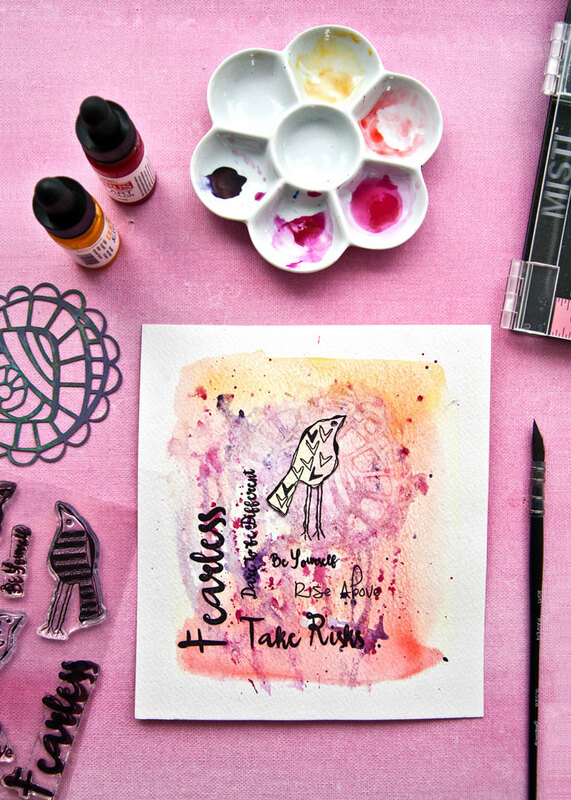 A while back I shared a video showing How to Draw with Ink Pads, it is super fun to do and a perfect project to loosen you up and get you in the creative flow. 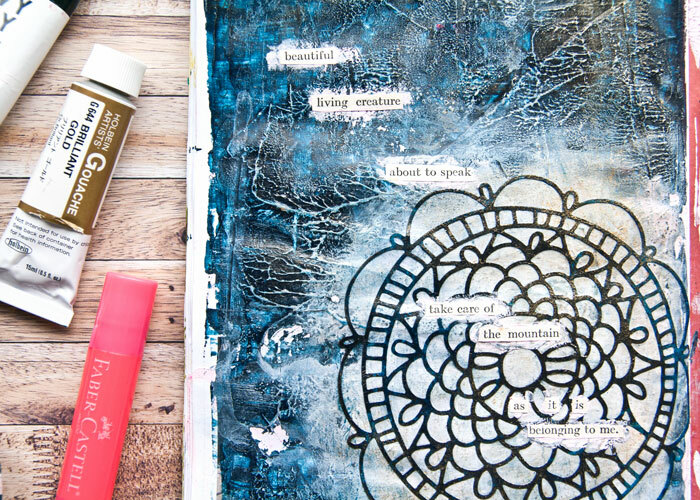 Today’s project concentrates on making art with ink pads again, but this time I have some easy masking and stencil techniques to share. Plus I have some tips on how to get a great image using printing with your stamps rather than stamping. You will see what I mean in the video! 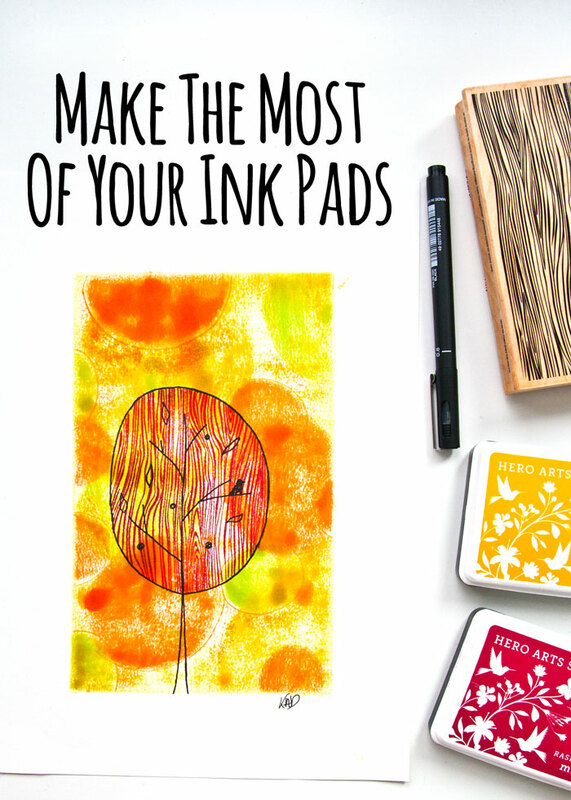 I would love to know how you get on using your ink pads so don’t forget to link me in with your social media shares and my links are all below. Have fun with your ink pads and I can’t wait to see what you do! If you watched my video last week then you would have seen that I was playing around with Yupo as one of the surfaces I was testing Distress Oxides on. It was such fun to be using the synthetic paper again, I hadn’t used it for such a long time before last week, that I wanted to play with it some more. So here is another video with it and this time I am using it with watercolor paints and Indian ink and sharing the results and some tips on using it with these materials too. I really love the textures you can get with Yupo and the way it makes the paint look bright and vivid. Have you been using ti? 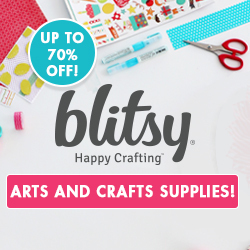 What materials have you tried with it and what do you enjoy doing with it? Or perhaps you haven’t tried it yet? After seeing these videos do you think that you will? 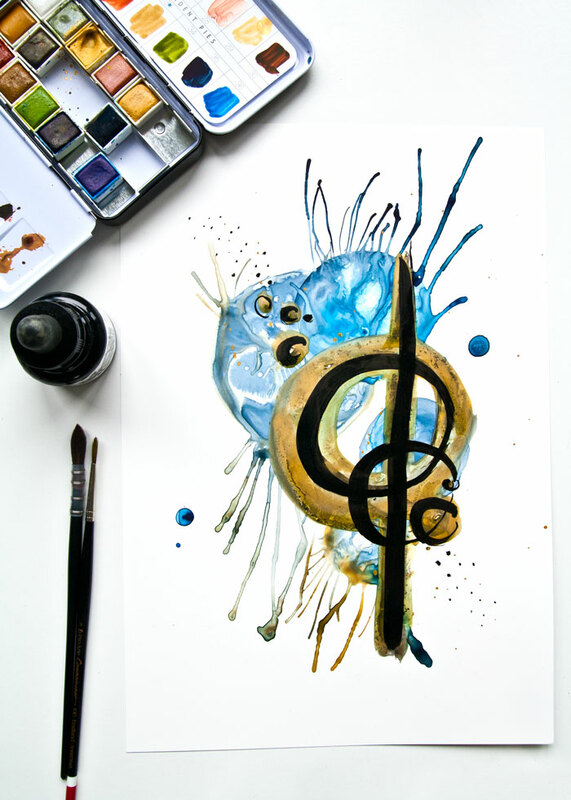 I do have some other project ideas for using Yupo that I made for when I was working for Blitsy, like a resist technique to use on Yupo with watercolor and alcohol inks or the step by step for making Galaxy Art on Yupo with acrylic paint. So give them all a go and let me know how you get on, you will find my social media links below so do link me in when you share your results on social media as I would love to see them! Scroll down for a close up picture of the texture in this project. Enjoy playing with this one and I can’t wait to see what you come up with. You might not quite get it from the colours, I suppose I should have gone for something more honey-toned, but this week’s project is actually bee-themed! It’s a video ‘how-to’ showing all the stages for adding dimension and texture whilst recycling bits and pieces left over from previous projects. 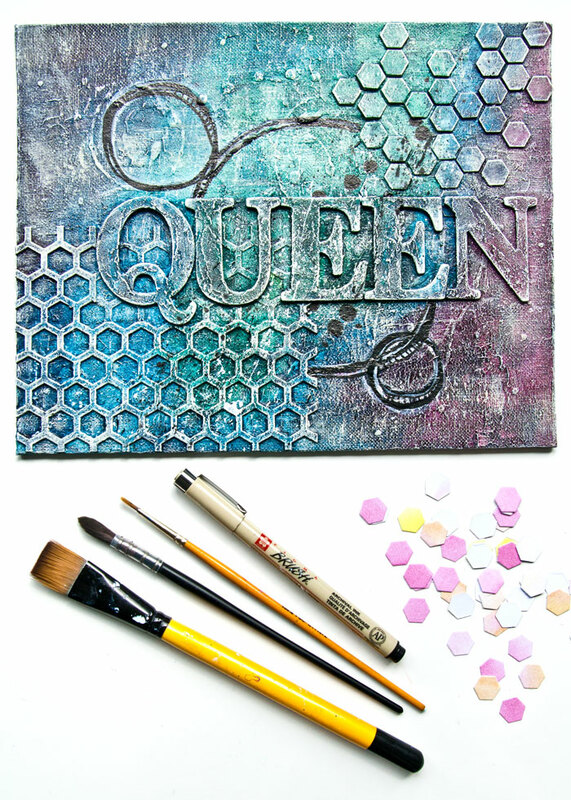 The bee theme came from the Apple Blossom Hexagon Panel die that I have used to build this textured canvas board and if you saw my ‘5 Ways with Background Dies’ video then you will know that I am pretty obsessed with this die at the moment! The reason why I went for these colours are…well, I will let you find that out for yourself when you watch the video! No spoilers here sweetie! I have got another canvas board in mind that would be a companion piece to this one, hopefully I will get that filmed and share it with you soon. In the meantime I hope that you enjoyed this week’s project with it’s tips on how to dry brush. 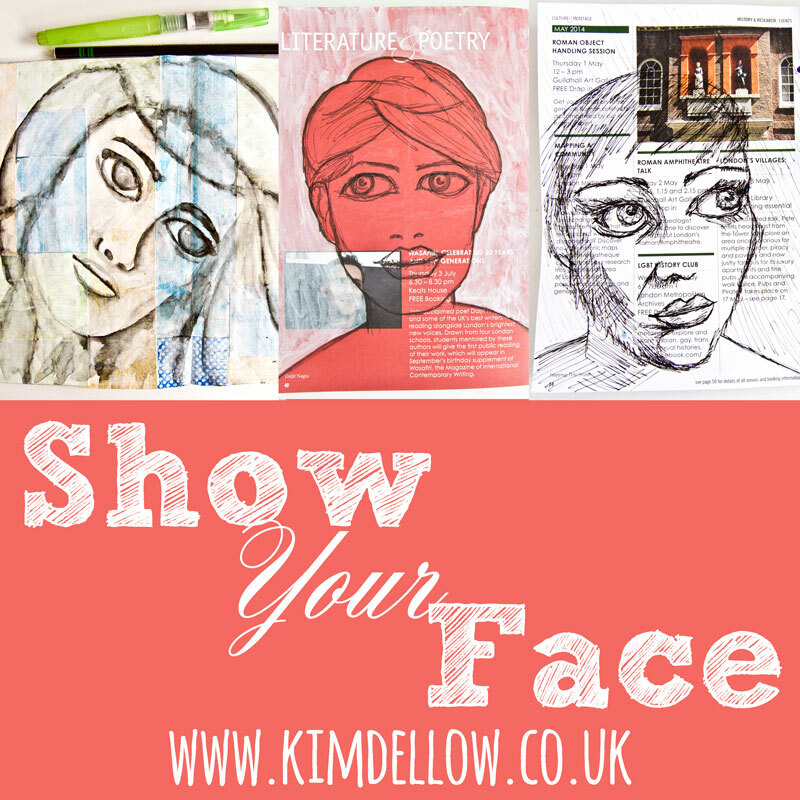 Do let me know what texture you are planning to add to your projects this week. As always tag me in on social media if you want to share a project you made that was inspired by my videos, because I would really love to see it and I might even give you a shout out in one of my videos too! All of my social media links are below. Have a super creative week. Who needs some color to brighten their day? I do! 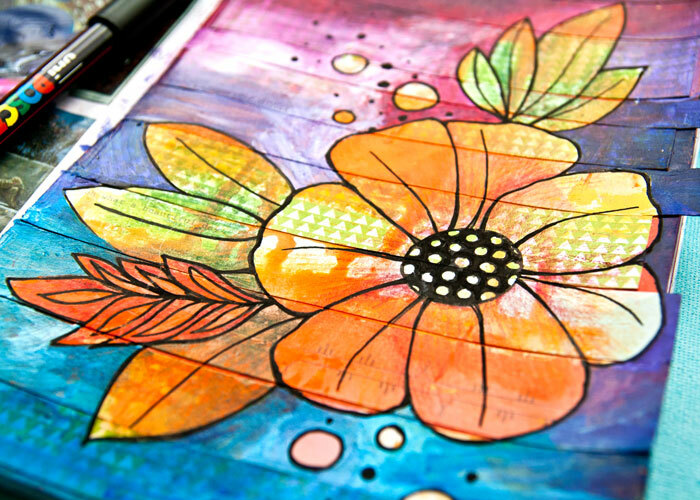 I hope that you do too because I’ve got an explosion of color to share with you in my latest art journal page video. And I think I can safely call this a mixed media piece as I’ve got pattern paper, Gelatos, acrylic paint, oh and some coloured pencils in there too! 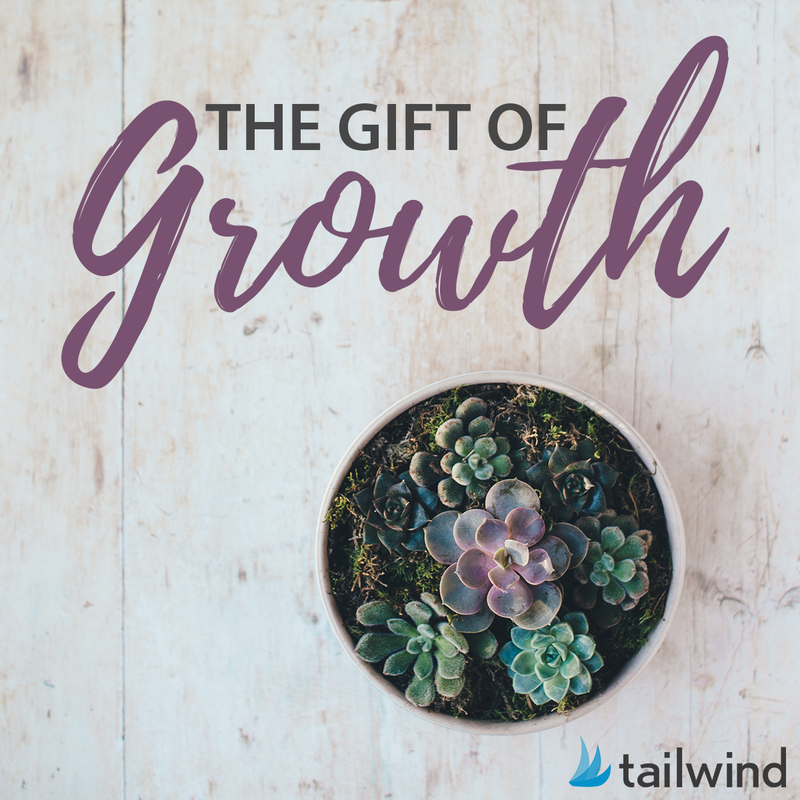 The video takes you through all of the layers for this page and it even shares what inspired the start of this page in the first place too! It also has another flower sketch as well and if you missed my last flower drawing video where I also share some tips and tricks for adding drawings to your art journal pages then you can watch it over on my YouTube channel, the video is called ‘Easy Flower Drawing Art Journal Page’. Hey, oh and I need to mention that I have reached a big milestone on my YouTube channel! I’ve got over 1000 subscribers and it is all down to you! THANK YOU so much for subscribing to my channel, watching my videos as well as commenting, liking them and sharing them too. It really does means so much to me. So as a thank you to my subscribers I am current making a new video to celebrate and it will be a more of a behind the scenes, day in the life type of video. So keep your eyes open for it and if you aren’t already please do subscribe to my channel over on YouTube and click the notification bell so you don’t miss it. Don’t forget to share with me anything this project, or any of my other projects, inspire you to make as I would really love to see. Just tag me in on social media and my links are all below. So I better get on with making my special 1000 Subscribers thank you video for you! I’m looking forward to sharing it with you! Hey Guys, how are you all doing? 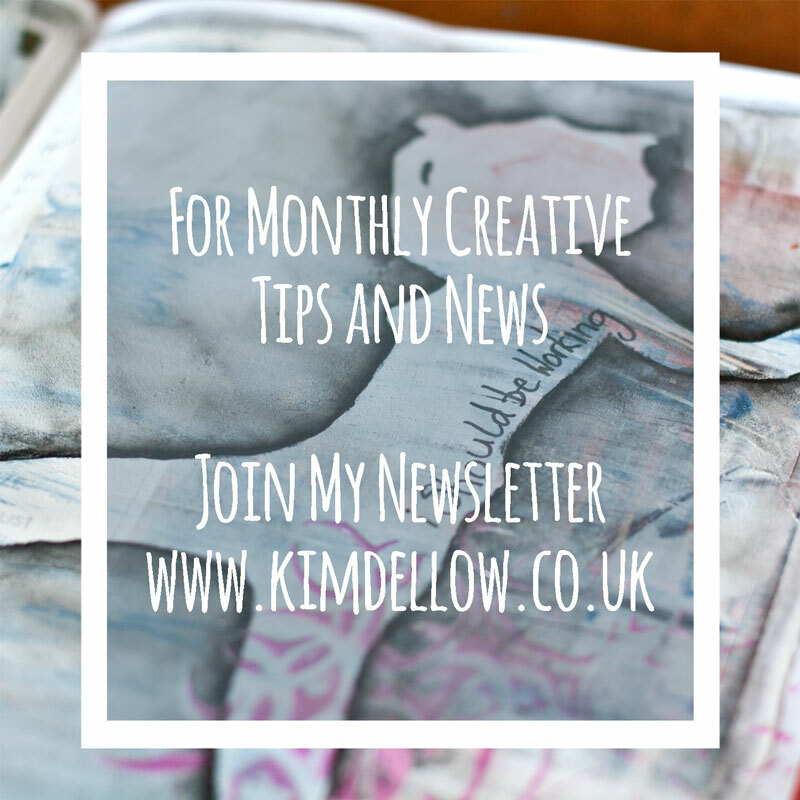 Are you have a lovely creative week? 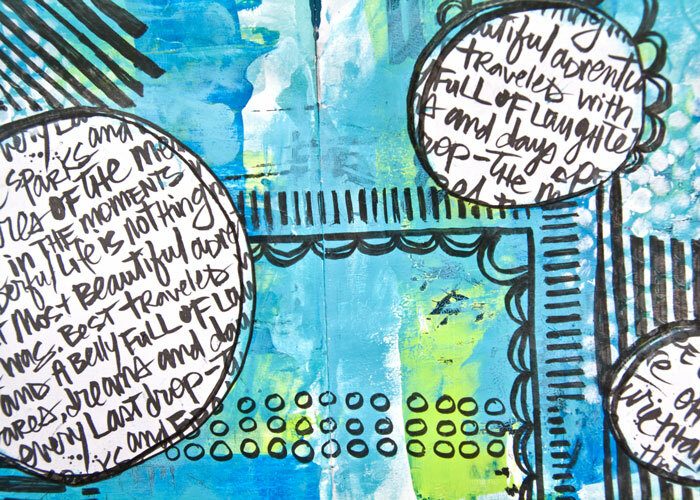 I do hope you are and if you are looking for some inspiration to get you fired up and ready for some painting fun or for a bit of art journal creating then I have a watercolor project video to share with you today that might be just what you are looking for. 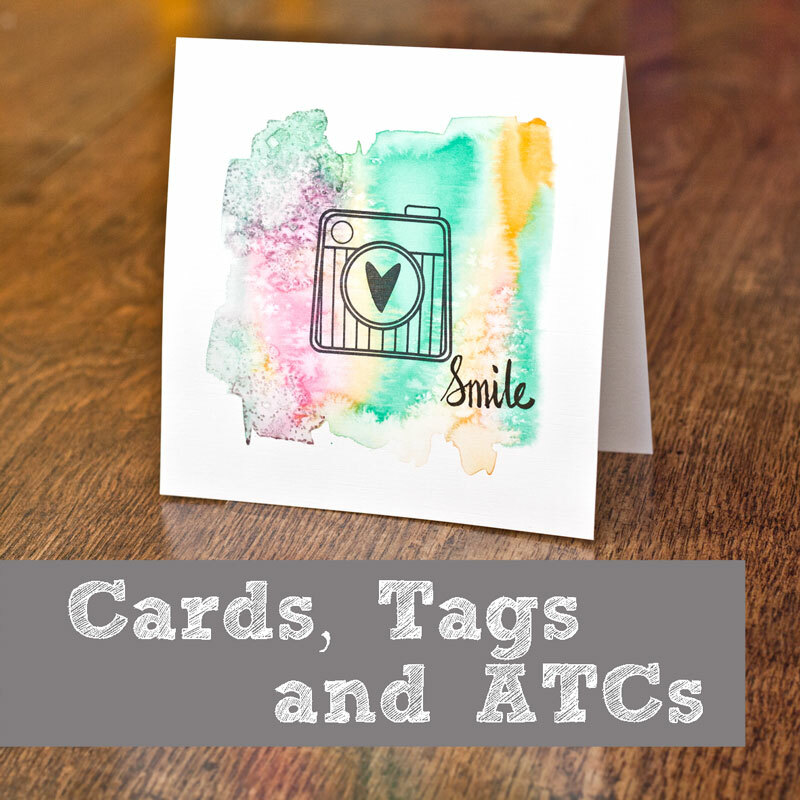 But I am doubly excited to share this project with you today as it uses some of Tracy Evans new stamps with AALL And Create. I’ve known Tracy for years via blogging and design teams, which by the way is one of the things that I love about this job, you do get to meet some lovely people, like Tracy. I am excited to see her starting on this new art venture, so when I saw these fab stamps I knew I had to play with them. She has two stamp sets at the moment, this gorgeous one with the birds and sentiments and a grungy circle, heart and star set which is also right up my street! So in my video today I’m covering lots techniques: from how to stamp on watercolor paper to layering and adding texture with watercolor. Sit back and enjoy! Yeah, you might have noticed that I am kind of loving watercolor at the moment! Oh and loving trying out different video formats too! Hope you have been enjoying them. 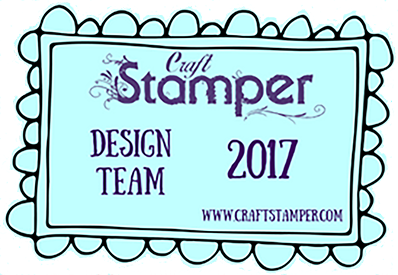 So don’t forget to pop on over to Tracy Evans’ blog and let her know which of her two new stamp sets you like the best. 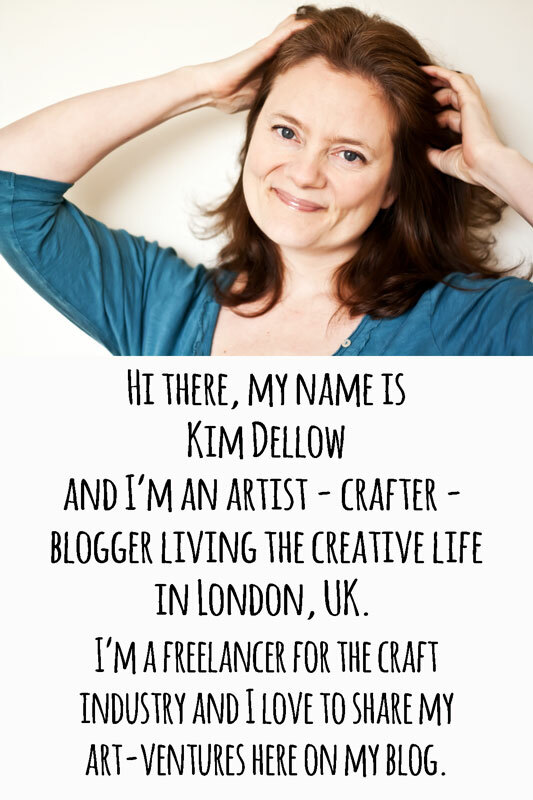 You can find plenty more inspiration with them on her blog. As always let me know if you have any questions and don’t forget to subscribe to my YouTube channel and hit the notifications option so that you know as soon as I have new video content! 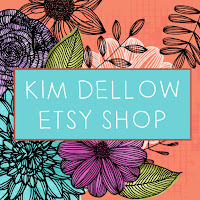 And I would love to see anything you make that is inspired by what I share so tag me in on social media, you can find all my social media links below! What are your favourite background dies at the moment and how do you use them? 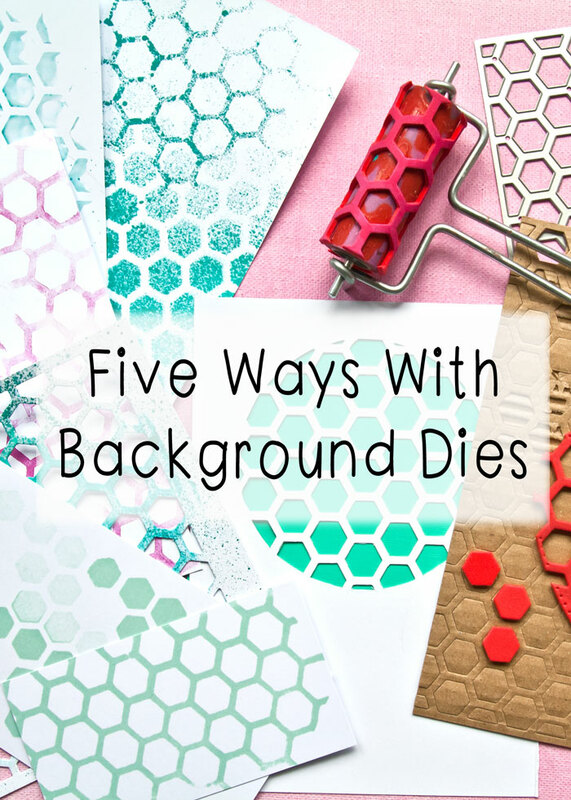 Do tell in the comments below, I would love to hear because today I have a video with my five favourite ways to use background dies. 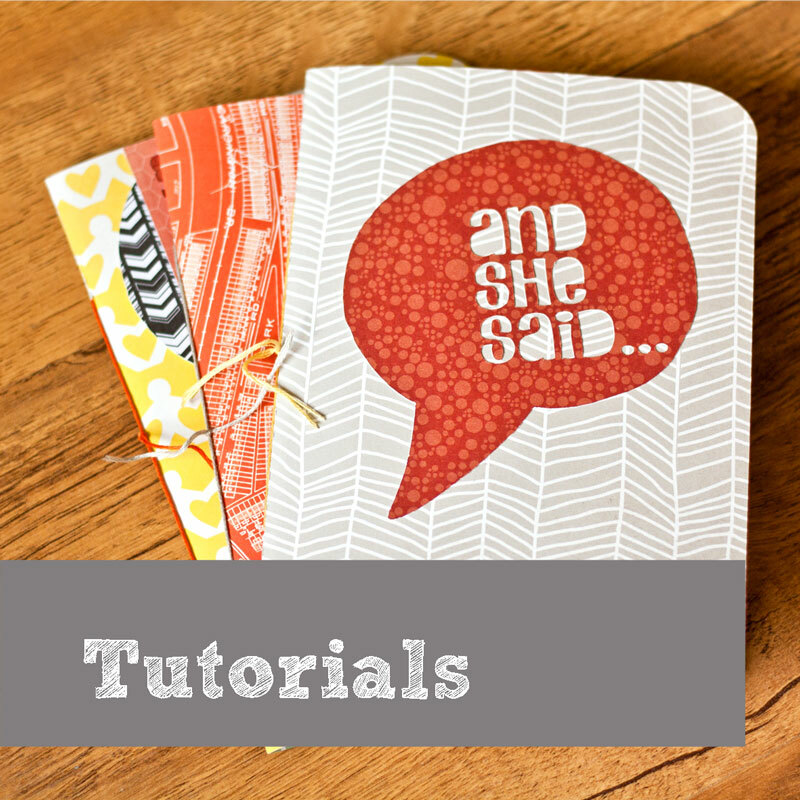 The ideas that I am sharing today are perfect for mixed media, art journaling and painting techniques but also card making too. 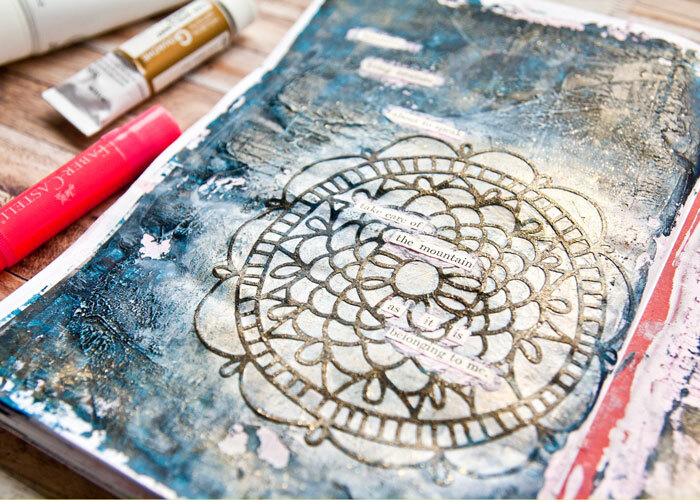 So whilst you are at it, let me know which projects you love to do – mixed media, art journaling, cardmaking or something else? I would really love to know. So if you are going to tell me which is your favourite background die at the moment then let me tell you mine! 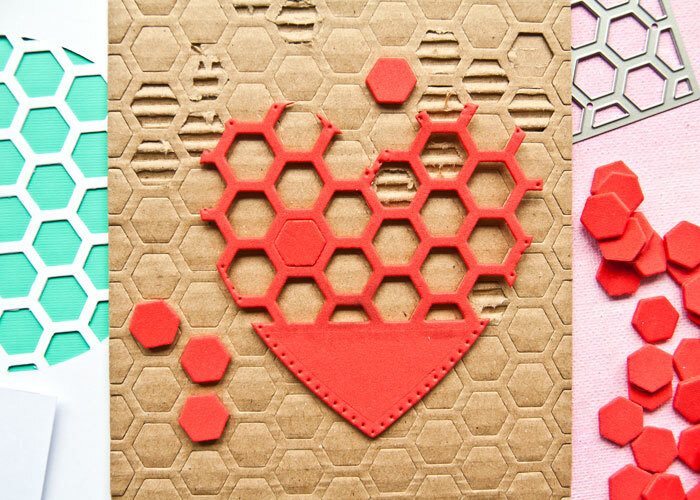 I mentioned it in my heart and star shaped cards blog post a month ago, it is the Apple Blossom Hexagon Panel Die from Craft stash. Have you seen it? It’s pretty huge and super versatile. As always if you are inspired to make something using the techniques and ideas that I share then link me up in social media as I would love to see it. You can find links to all my feeds below or you can leave a comment here or on my YouTube channel. 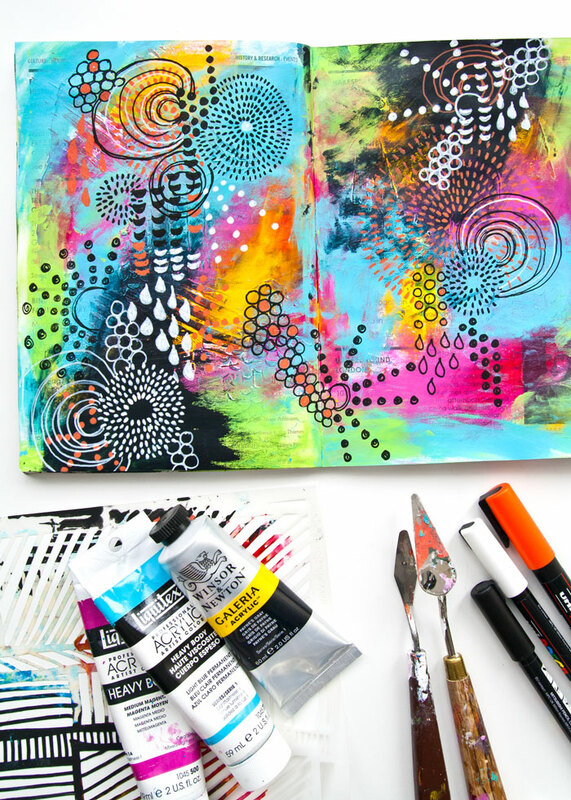 Cast your mind back to two weeks ago… I shared an art journal page video called ‘Abstract Shapes Art Journal Page Tutorial’, yeah, I know I REALLY need to work on my titles! 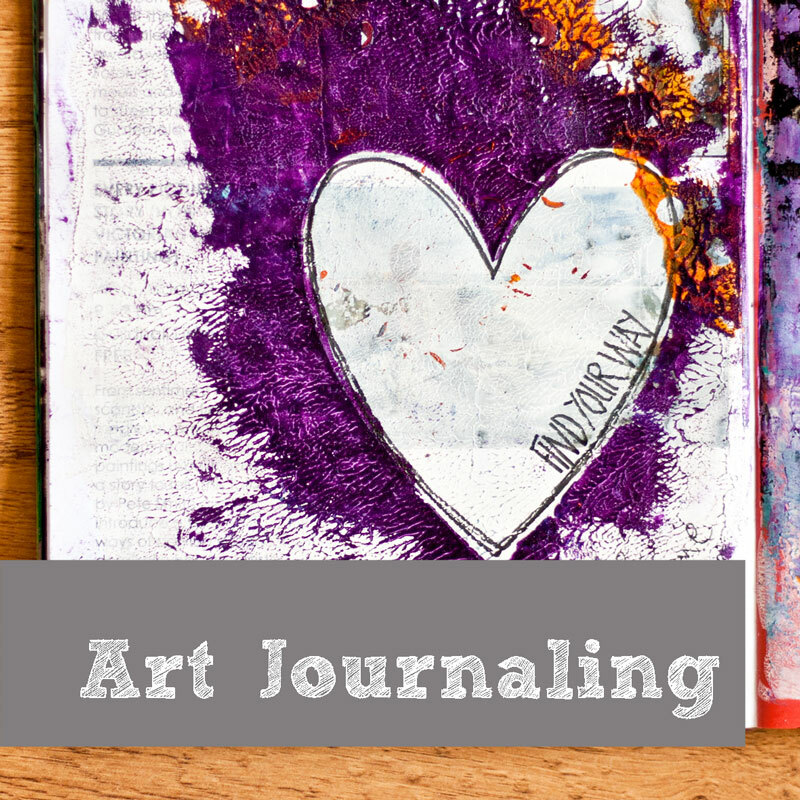 Well in that video I mentioned that I made a whole bunch of art journal pages on the same day. Do you remember? Ok, don’t worry, it isn’t a test! 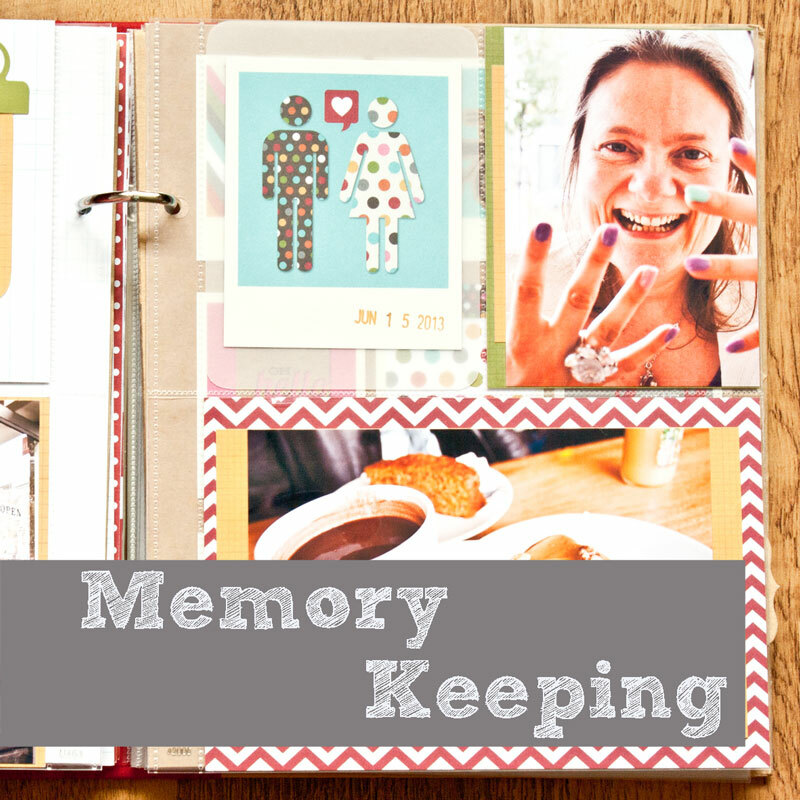 I am sure you don’t remember, but I do and here is another one of those art journal pages from that day of filming. 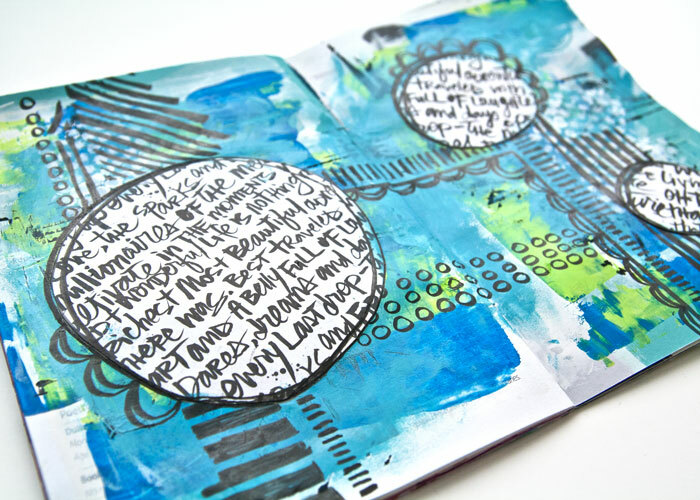 It’s a double spread art journal page using patterned paper and a brush pen and even though I did it on the same day as the Abstract shapes video and it has some elements in common with it, like the using pattern paper, cutting out shapes, using acrylic paint, the results are very different. And that is the main reason why I wanted to remind you about that other video and link the two videos together: to share some inspiration for different ways you can use your same stash to get different results. 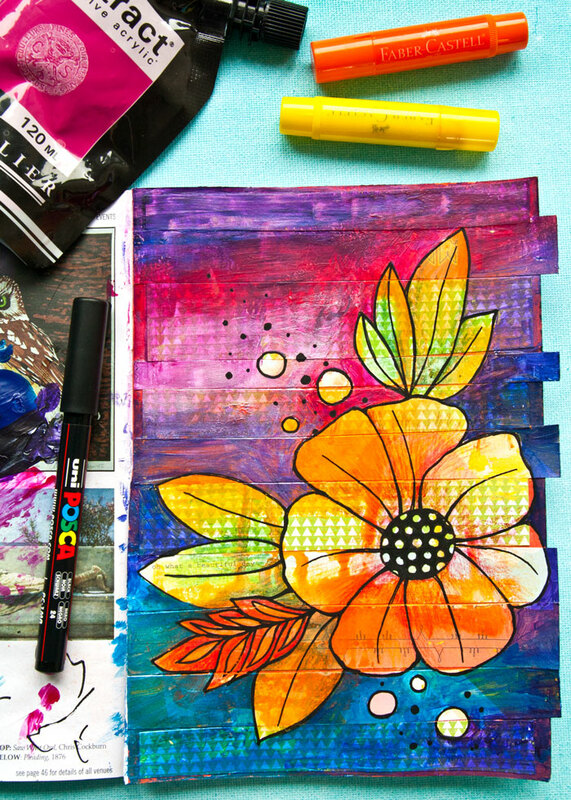 I’ve shared a full view of the whole double spread in the video and also explained why I did the pages together, but if I missed anything, or you have some questions or tips on how you use your same stash to get different results in your art journal pages. I would love to hear, So leave me a comment either here or on my YouTube channel! 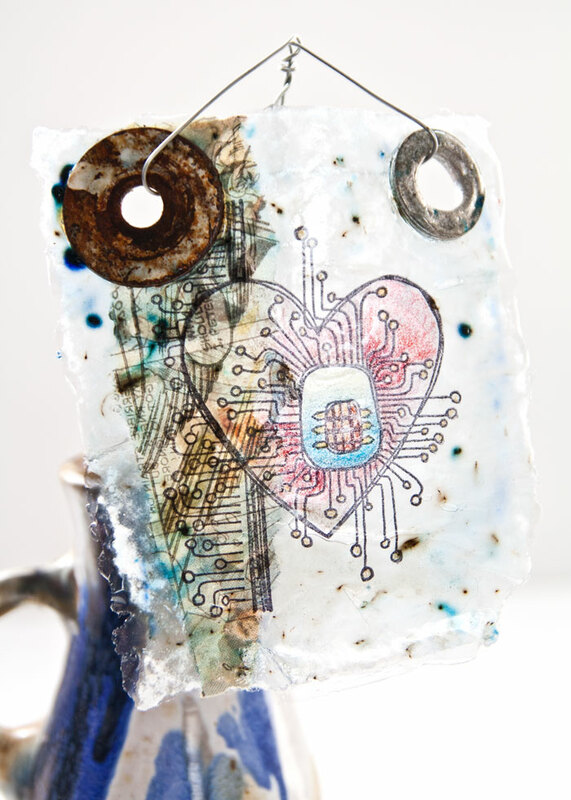 I was on the PaperArtsy blog recently with a project for their Found Objects theme, did you see it? 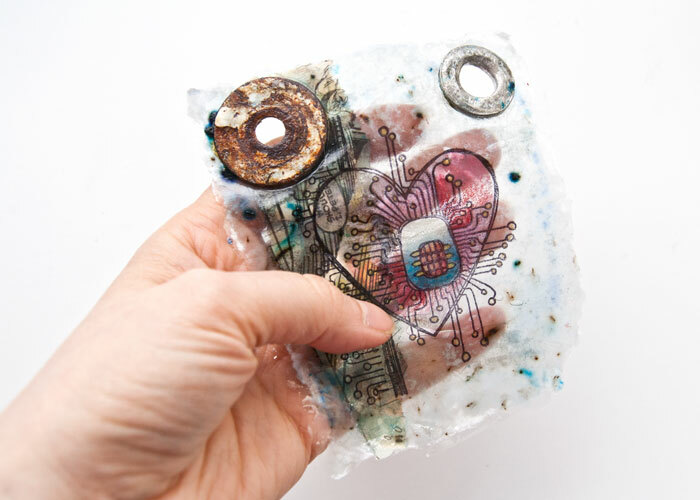 I decided to go for a gel skin-based project using an old washer and a large grommet both found in the street, ‘coz that is what I do, I find rubbish in the street and recycle it into art. Basically I am a Womble, except I don’t live on Wimbledon Common. No the prices are too high in Wimbledon, I’m more an East London girl! There is also an piece of old comic book in this project, found in my stash of old comic books for the purpose of art making and also I used some tissue paper found in some packaging of a parcel. So all of it is made from found objects. Well except the stamps, pencils and gel parts! I love how the tissue paper has become practically invisible in the final project. To make it I placed a piece of comic book on some tissue paper and stamped the electro heart and border stamps that I designed for PaperArtsy EKD04. Then I used a mix of Prismacolor pencils and Faber-Castell Polychromo pencils to colour the heart. 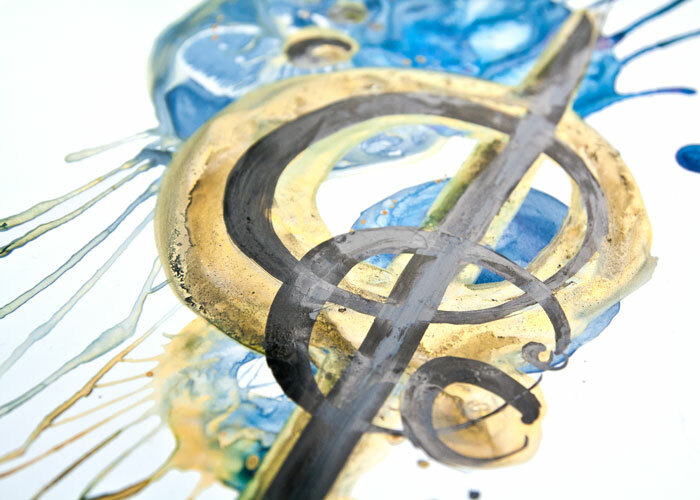 To make the gel skin and incorporate the image in it, I first added a layer of Liquitex Pouring Medium to an area the size of the tissue paper that I had marked off on an old plastic bag. Then I layered the tissue paper and comic book page on top of the gel and added the washer and grommet where I wanted them to be. Then I added another layer of Pouring medium over the top to cover the tissue paper and found objects and added some sprinkles of the Royal Blood Infusions, also from PaperArtsy. Once this was mostly dry I pealed the gel skin off of the plastic backing and let it dry completely. The skin with the tissue and found pieces almost looks as if it is a resin piece doesn’t it? Except it is quite flexible. 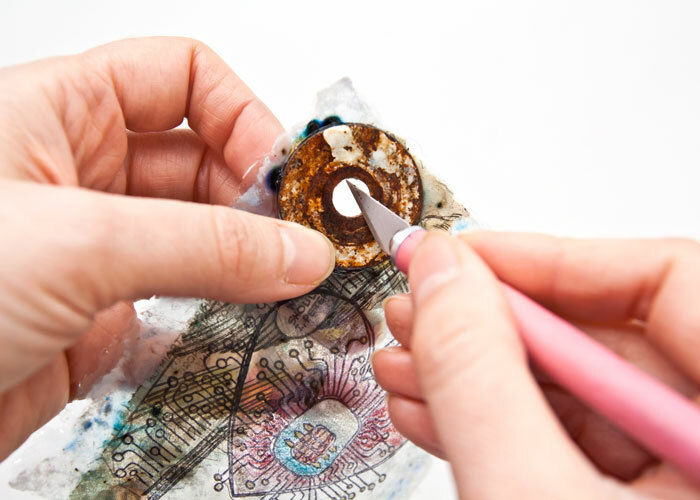 To turn the washer and grommet into functional holes to hang the piece from I then just cut out the gel skin and tissue from the centre of each with a craft knife. then all that is left is deciding how to show it and for this I decided to use wire. Initially my idea was to hang it like a banner in the window so that you can see the light coming through and get the most out of the translucent effect but this proved harder to do as I don’t have an appropriate hook to hang it from. So in the end I went for a wire stand held in a small jug. 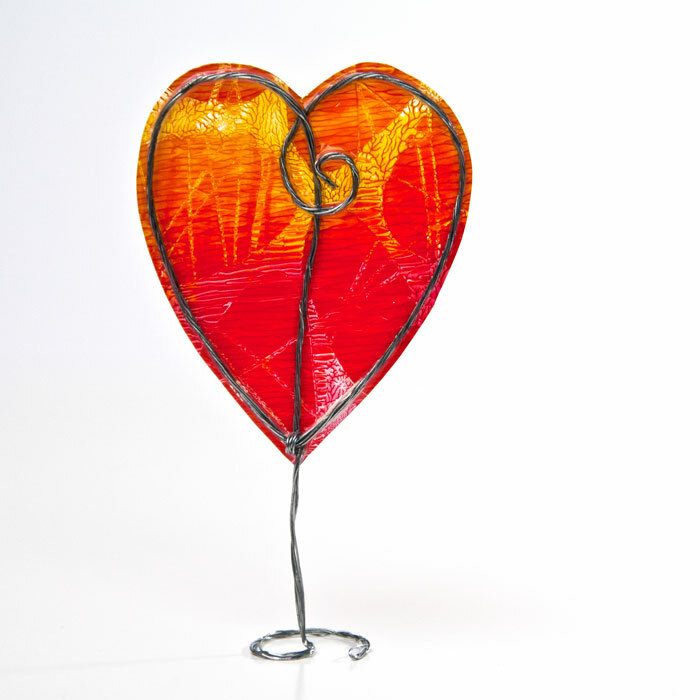 If you like gel skins then you might find my ‘How To Make A Gel Skin Heart’ tutorial over on the Blitsy blog interesting. 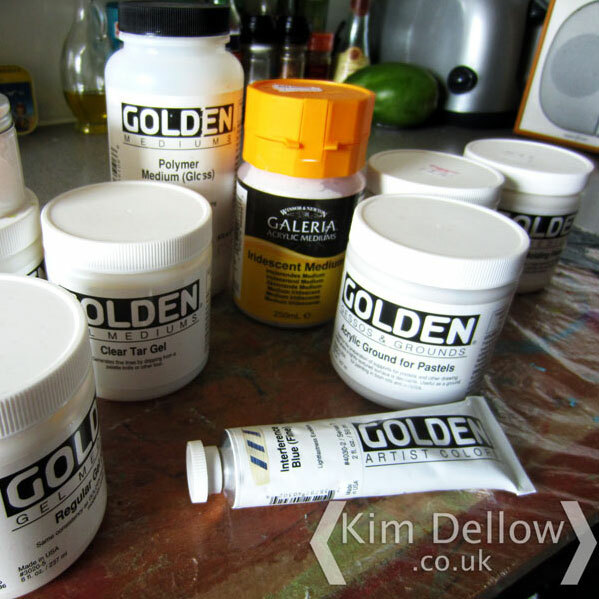 Or you could revisit some of my experiments with different acrylic mediums and gels in my ‘Art Journal Sharing Thursday – Acrylic Gel Skins’ blog post if you want to get started with gel skins and have a play yourself with the products you have to hand. Have a super fun and creative week!